Why am I writing about tea and travel. Well, in a word, I enjoy both and when I travel I typically seek out the best teahouses, tea restaurants, and tea establishments in the cities and countries to which I travel. Although I am also a coffee drinker and a coffee connoisseur and certainly can speak to you where to find the best and more sustainable, attainable, incredibly grandly grown in Central and South America, this blog is about tea! I have no formal training other than seeking out experts on my own and asking for their tutelage. Okay, all that being said here we go! I will tell you that probably much like your first kiss or your first love, my first and foremost favorite teahouse is Lovejoy’s in San Francisco on Church Street. Completely unpretentious and gives an American and I think other travellers the feel of what we hope to find in any British style tea house establishment. 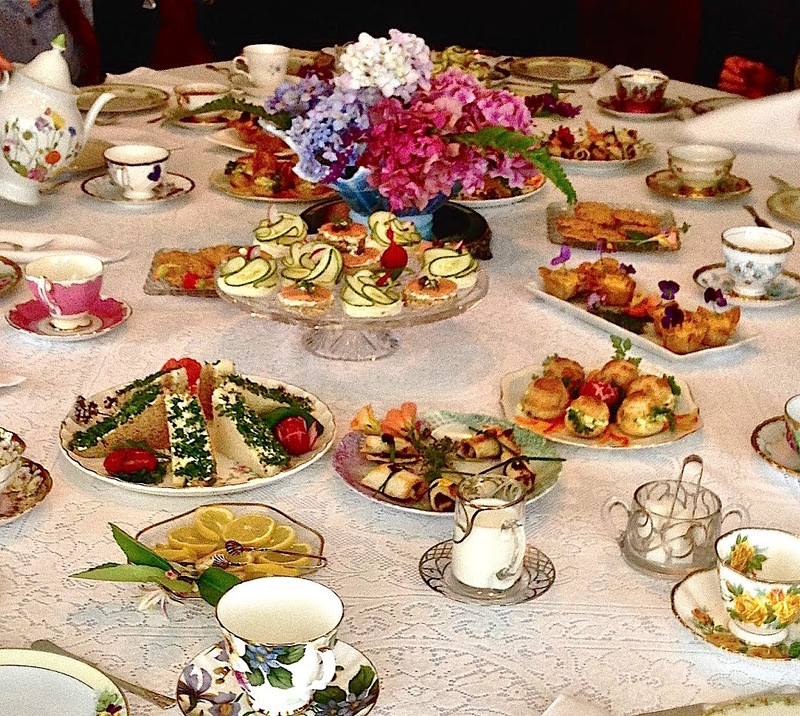 They use an eclectic group of cups and plates, and no two tables are constructed the same or decorated the same. It is what I would call Old World nostalgia chic. You feel completely comfortable going dressed casual or dressed up for a special occasion (birthday, baby showers, graduation ….) or just going in for something to eat and enjoy good of tea served British style. The Tea at Lovejoy’s Tea Room: For the beginner and to and including the extremely fussy tea drinkers like my sister and myself, what you will find at Lovejoy’s Tea Room is a complete around-the-world understanding of tea and the best of each, and how they should be served and a tea for every palate. The staff is very knowledgeable about their teas. I have found and frankly overheard at other tables the staff gently direct you to the tea that is your best choice. One of the other things that they do is they do not present the tea with reheated water. Let me clarify this point for those who are not tea snobs like myself! It isn’t that they reheat the tea, but some tea establishments re-use or reheat the water over and over again when brewing new tea. To achieve the full body and flavor of tea, oxygenated water is required. Reheating robs the water of oxygen which in turn robs you of all the flavors that the tea can infuse into the water. At Lovejoy’s Tea Room this is never been my experience. 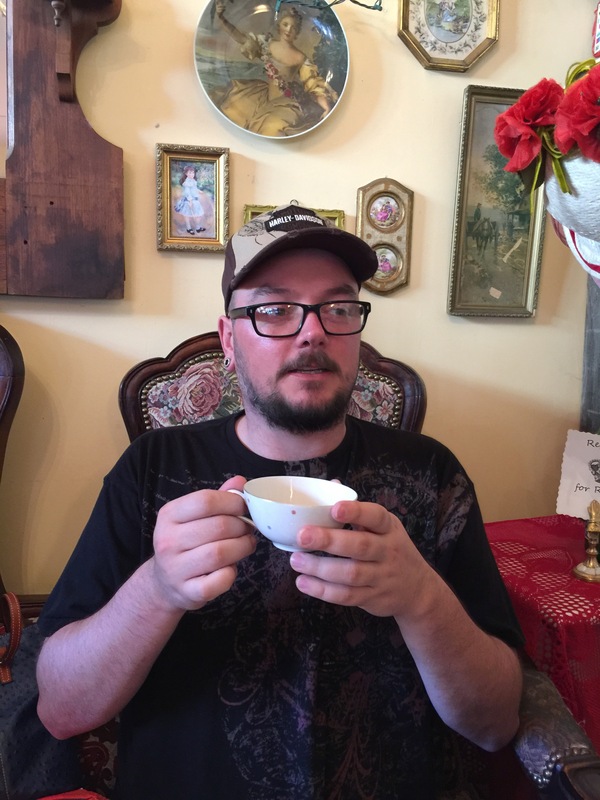 And although I could not give an exact number of times that I’ve been to Lovejoy’s Tea Room, it has certainly been more than 40 and over the course of many years. I’ve never had a weak cup or over-watered cup of tea served to me at Lovejoy’s Tea Room. This might seem like a simple thing but some places simply put one bag of tea in an eight cup pot and think that they’re serving you a true cup of tea. That of course is not true and has never been my experience at Lovejoy’s Tea Room. 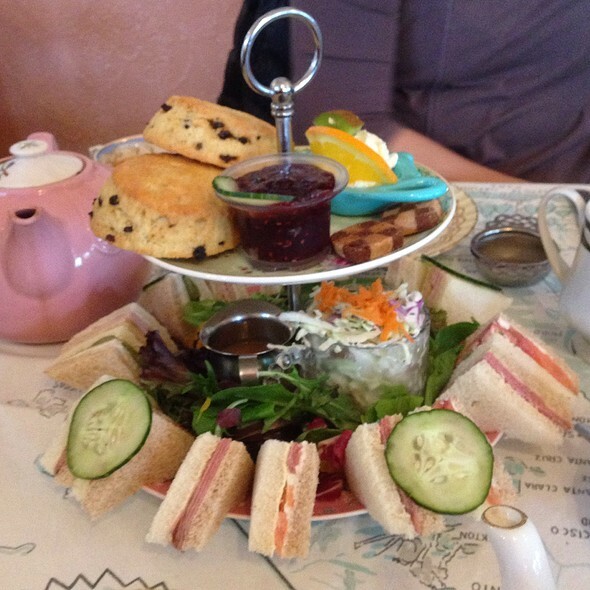 The Food at Lovejoy’s Tea Room: Let me just start by saying whether savory or sweet, Lovejoy’s has the absolute best British style food I’ve ever tasted, including my many trips to the UK. 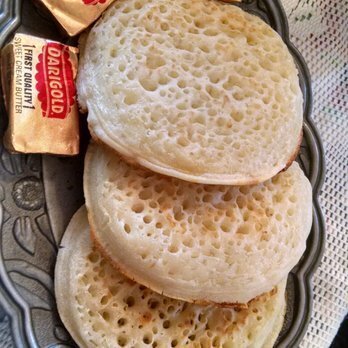 Frankly, when I travel there I am looking for what I get at Lovejoy’s Tea Room, and although there have been places that have come close, none – absolutely none – are as good. Everything I have ordered on their menu has been made beautifully and tasted amazing. And they have so many choices on their menu, truly everyone that goes can find more than one or two things that they should try or will want to come back and try. 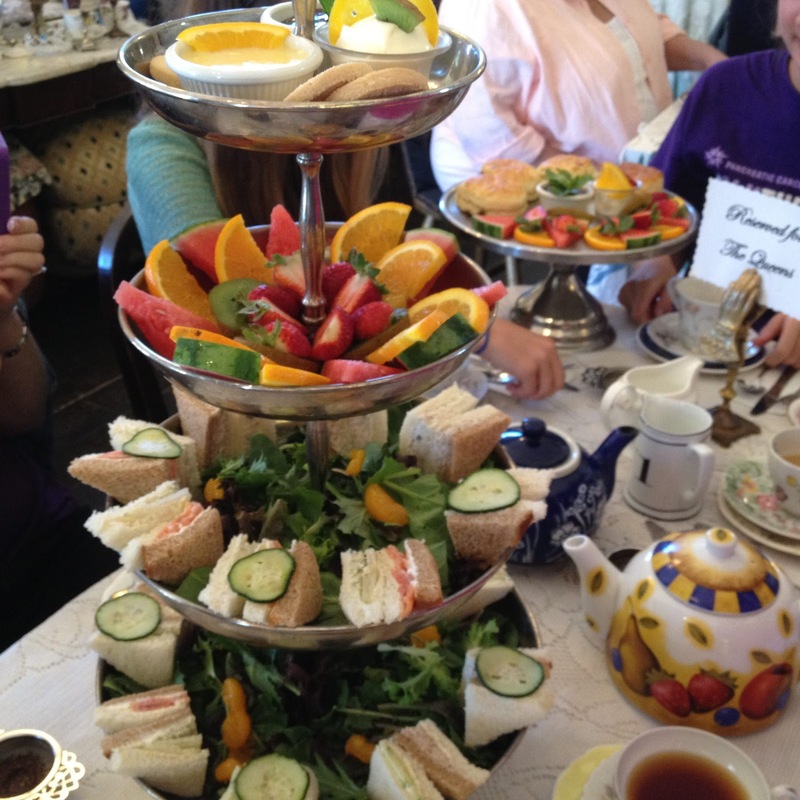 In summary Lovejoy’s Tea Room is a must if you are a casual tea drinker or an aficionado. 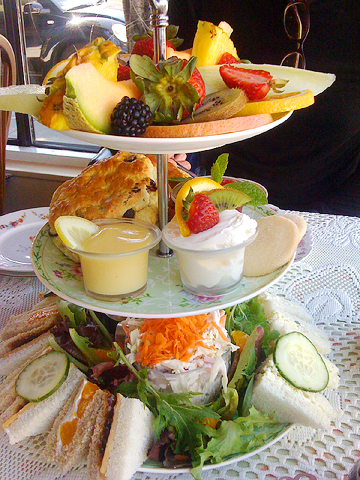 I have been telling even perfect strangers about Lovejoy’s Tea Room for more than 15 years. And I have been in search for their equal and have not found it in 15 years of looking.